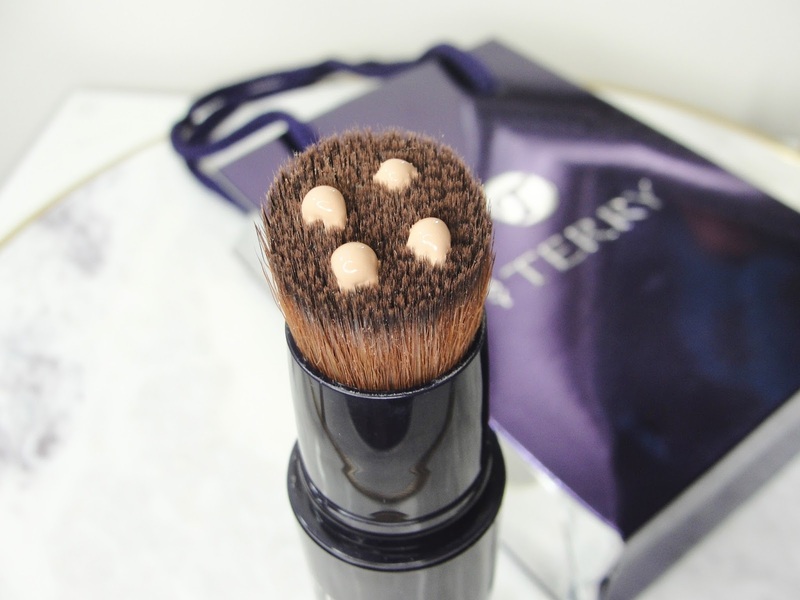 Today I have a review of the BY TERRY Light-Expert Click Brush Foundation, the BY TERRY Stylo-Expert Click Stick and the BY TERRY Compact-Expert Dual Powder for you! I am absolutely in love with the packaging. With the deep dark purple packaging and silver details, I find it very unique and trés chic! But how does this luxurious brand perform? The BY TERRY Light-Expert Click Brush ($65) combines a star anti-imperfection foundation formula with an ergonomic and effective applicator to sculpt your face and erase imperfections for silky, even skin in no time. Super convenient that the foundation includes a brush! Simply click to get more product! Though I have to say, that the brush could be a little softer and I find that I need a little more time working the foundation streak-free in, than with my favorite foundation brush. The other con: you can´t really wash the brush or the foundation would all "wash out". So I wipe it on a clean tissue, after each use. The foundation feels comfortable, looks natural and it also smells very good- I´d say a powdery clean perfume scent! The foundation provides me a good medium coverage. I have an oily face (especially on my t-zone) and I will get somewhat shiny with this foundation after a couple of hours- so this will be a good foundation for dry and normal skin (and a great choice for mature skin!). Oily to combination skin definitely needs to set this foundation with a powder. 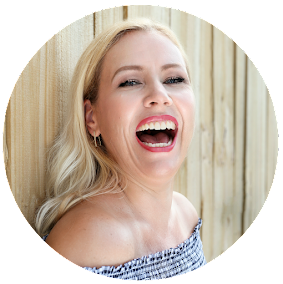 Overall a really fabulous foundation! 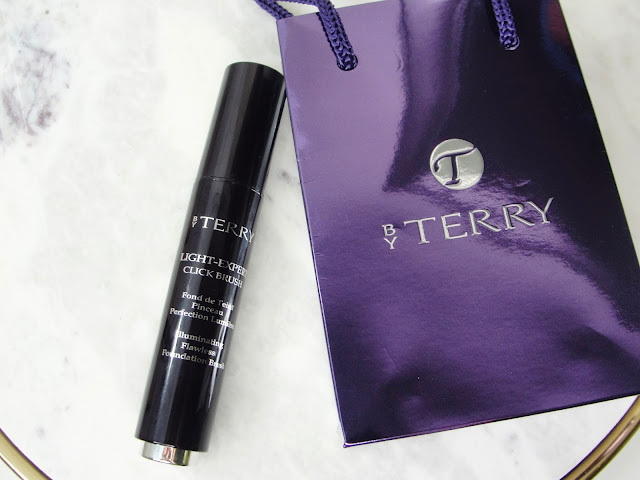 The BY TERRY Stylo-Expert Click Stick ($34) is a creamy, lightweight concealer that provides a velvet-smooth finish to erase, conceal, brighten and contour. 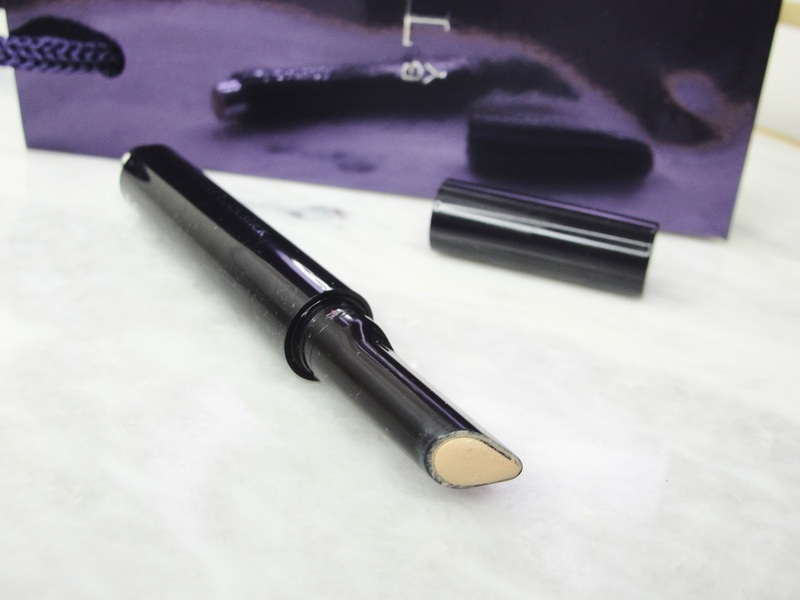 It's formulated to seamlessly hide dark circles, wrinkles, fine lines and imperfections with its ergonomic drop-shaped tip applicator. It can be worn on bare skin or on top of your makeup. The Stylo-Expert Click Stick concealer applies buttery and offers optimal coverage! 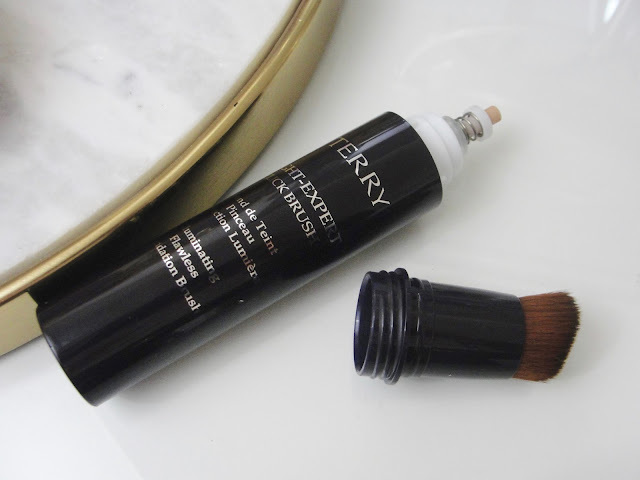 Blends in quick, conceals, brightens and doesn't make my dry eye area look cakey. I am loving the little "tear-drop" shape that makes it easy to get into smaller corners- like my inner tear-duct. Great concealer, duh! 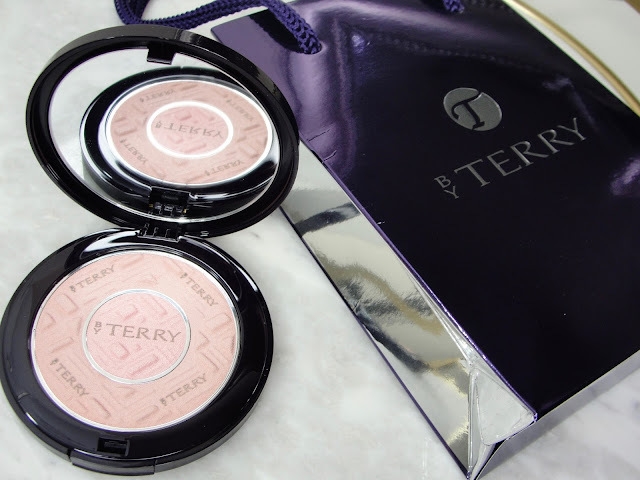 The BY TERRY Compact-Expert Dual Powder ($46) is a matte and glow dual-compact powder that instantly mattifies, highlights and sets makeup for allover perfection. 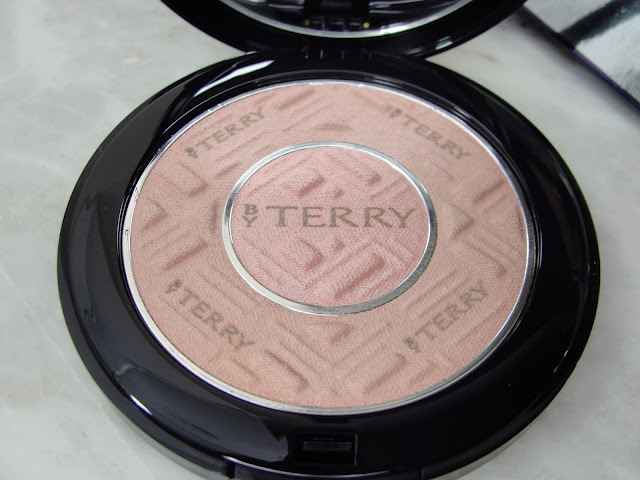 This powder is such a delight just looking at it, isn´t it? It combines 2 different powders- use them separate or swirl them together! This could be a setting powder or used as a blush (shown on the pictures is the shade "Rosy Gleam", but there are 8 other shades available.) This is Made in Italy! Bellissima! BY TERRY is available at Nordstrom!